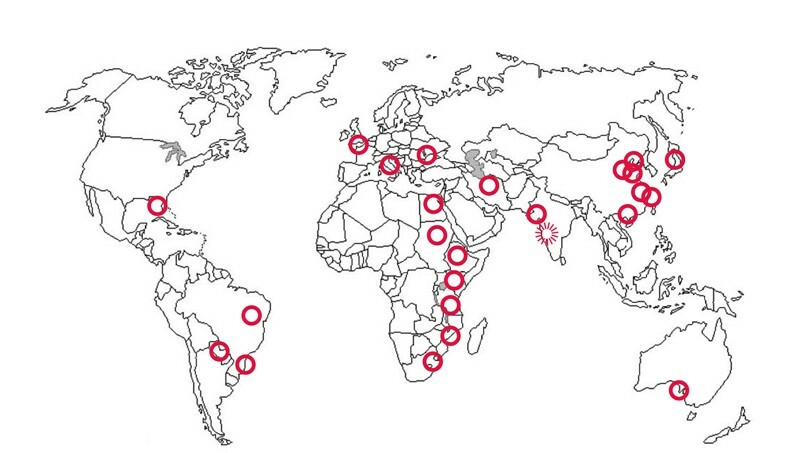 the situation of the human settlement in the area as URBAN ANEMIA. decrease. The first symptoms of URBAN ANEMIA is the necrosis of marginal settlements. Lucio Barbera @ Puerto Rico Re_start, 16-24 March 2018. The Puerto Rico Re_Start PREP, the preparatory instance held between October 16th and October 30th, presented its results publicly on November 1st in the School of Architecture. It produced extensive background research, bibliographic and web content, alumni linkages, consolidated in a google drive data bank. The visitors returned to Puerto Rico after the conclusion. The PR RS International Project Workshop has gathered the support of The Chancellor of UPR, the UNESCO Chair in Sustainable Urban Quality and Culture Rome, the UF Center for Latin American Studies and the College of DCP through academic units and Centers. Haiti and Cuba. Interdisciplinary participants will gather around subjects of research and proposals. Professionals, faculty and students from UPR, UF, and international institutions from Europe and Latin America will direct the Design Laboratories, while an Open Lecture Series will discuss publicly the advancement scenarios. Representatives from stakeholders and public officials will join the discussions. Results will be presented publicly and published. Consortium of Hydro-generated Urbanism, University of Florida, USA. Franco Prodi, CNR – ISAC (Institute of Atmospheric Sciences and Climate) – The Problem of Climate Change: scientific forecast or scenarios? 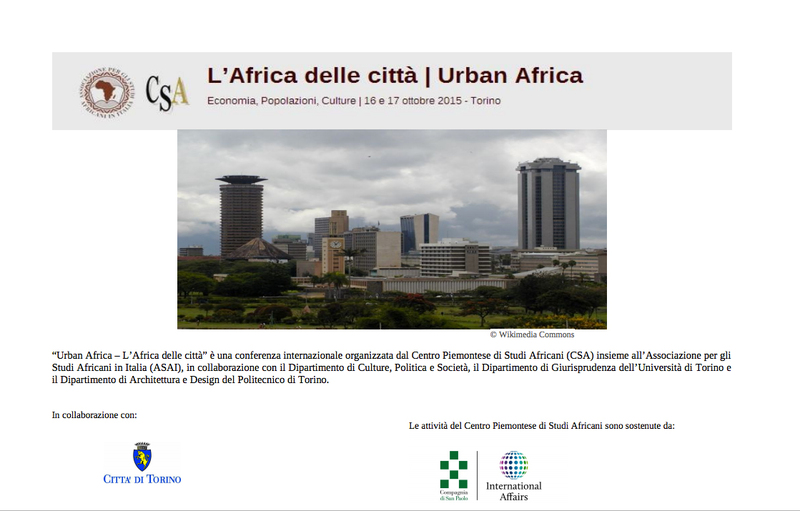 Lucio Valerio Barbera, UNESCO Chair in Sustainable Urban Quality and Urban Culture, notably in Africa – What message from Venice? Coordination meeting of category 2 institutes and centres (C2Cs) under the auspices of UNESCO and UNITWIN/UNESCO Chairs related to culture. Scientific Comittee: Pirooz Hanachi (Teheran University, IRAN); Lucio Valerio Barbera (Sapienza, ITALY), Hassan Ossanlo (Tehran University, Garmsar University, Sooreh University, IRAN); Yue Fan, Suo Jian (DUT Dalian, P.R. CHINA); Tomaso Monestiroli, Francesco Menegatti (PoliMi, ITALY); Anna Irene Del Monaco (Sapienza, DiAP, ITALY). Participants: Navid Niazkar, Aida Eghbali, Wang Qin, Liu Yujia, Wang Zexia, Wang Yu, Mahdi HadavandKhani, Mohammad Reza, Wang Hanrui, Qiao Xin, Lin Siteng, Mattia Bencista, Wang Shan, Li Dongzu, Meroj Sharifi, Mona Kordi, Anahita Ovarhossein, Nooshin Danesh Heidari, Sun Haopeng, Xu Qijun, Li Shuyang, Elham Kiani Moghaddam, Fatima Rajabi, Dorna Lotfi, Mahdiar Nezam, Bahareh Kheyrkhan, Laleh Ramezani, Maryam Pourzakarya, Teng Xiaohan, Yu Luyang, Fahimeh Ameri, Fatemeh Mollazadeh, Poupak Pourbahador, Majid Gharbhzadeh, Mohammad Reza Mahmoodi, Bahareh Khazaei, Fatemeh Khodadoustan, Amin Tabatabaei, Ali Norghadami, Ahmad Ansari, Monica Napoli, Homa Kermanian, Mohammad Reza Ramezan Khani. Urban Structure Enhancement: Tomaso Monetiroli (professor), Suo Jiang (professor), Diego Avanzo (tutor), Mattia Bencistà, Wang Shan, Li Dongzu, Meroj Sharifi, Mona Kordi, Anahita Ovarhossein, Nooshin Danesh Heidari. New Dwelling Pattern: Lucio Barbera (professor), Teng Xiaohan, Yu Luyang, Fahimeh Ameri, Fatemeh Mollazadeh, Poupak Pourbahador, Majid Gharbhzadeh, Mohammad Reza Mahmoodi, Bahareh Khazaei, Fatemeh Khodadoustan, Amin Tabatabaei, Ali Norghadami, Ahmad Ansari, Monica Napoli, Homa Kermanian, Mohammad Reza Ramezan Khani. Center for African Studies 2015 Gwendolen M. Carter Conference. The UNESCO Chair in Sustainable Urban Quality and Urban Culture (UNESCO Chair) with the Consortium for Hydro-generated Urbanism (CHU) University of Florida are co-organizing a two week international workshop examining specific problems of sea level rise and its related effects on urban structures (financial centers, tourist settlements, leisure centers) and infrastructures (water management, mobility, energy generation) as exemplified in the Miami-Dade region and applicable world-wide. Scholars, students and professions from around the globe will be introduced to these pressing issues by traveling to New York City and to Miami and will subsequently gather at the University of Florida to participate in a 5-day interdisciplinary workshop intended to generate integrated proposals for urban resiliency (March 7th-11th). The participants will convene in New York City to discuss case study plans with various stakeholders and then will proceed to Miami to investigate urban and environmental vulnerabilities with regional experts and policy makers visiting key sites for visioning. An extended interdisciplinary team will formulate strategies of opportunity in response to the challenges of climate change. The results will be discussed on Saturday March 12th in a public forum at the University of Florida College of Design Construction and Planning. Daily public lectures will take place on UF Gainesville campus. I maschi di una famiglia di uccelli dal nome astruso, quasi impronunciabile, Ptilonorhynchidae, appartenenti all’ordine dei passeriformi, nel periodo degli amori costruiscono il proprio nido in forma di elaborata struttura architettonica, a volte assolutamente straordinaria, e attorno ad essa realizzano un giardino organizzato in bell’ordine vario, adornandolo di oggetti variopinti e lucenti di grande preziosità visiva, giungendo perfino ad abbellirlo con piccoli oggetti di sasso o legno che essi stessi dipingono con pigmenti naturali per mezzo di uno «pennello» tenuto nel becco. A noi, che ammirati osserviamo le loro opere, sembra che essi dispongano la propria dimora come artistica espressione di sé, allo stesso tempo prezioso recinto ed elaborato ritratto della propria identità. Certamente riflettiamo divertiti a quanto noi somigliamo a quelle delicate creature quando cerchiamo comunque di fare della nostra abitazione una presentazione, in qualche modo nobilitata, della nostra identità, disponendo in bell’ordine vario gli oggetti d’arredo, i quadri, i parati, e quelle cose di famiglia che possano aggiungere un po’ di profondità storica al nostro profilo sociale e culturale. Ma non possiamo evitare che il pensiero corra subito alle tante – innumerevoli – dimore eccezionali che costellano di bellezza, di ricchezza artistica, di messaggi colti e preziosi la storia, le città e la natura e ci tramandano immensi patrimoni artistici assieme alla viva memoria del percorso della civiltà. Spesso quelle dimore le conosciamo perché incontrate come soggetti, tra i tanti, della storia dell’architettura, del paesaggio, della città o come palcoscenico di biografie straordinarie. A volte, invece, le conosciamo poco o per niente affatto, perché riservate agli intenditori di qualche aspetto dell’arte o perché ancora riservate alla stretta cerchia degli amici del padrone di casa. Vale la pena, per una volta, coglierne alcune e ragionarne insieme, eleggendone pochissime tra le innumerevoli, appositamente scelte di dimensioni, importanza e significati molto diversi e appartenenti a culture, luoghi e tempi molto distanti tra loro, legate unicamente dall’essere in primo luogo – o unicamente – dimora, artistica espressione di sé del suo autore, elaborato ritratto della identità dell’uccello giardiniere che le visse o le vive: la casa d’Augusto al Palatino, la villa dell’imperatore Adriano, il Palazzo d’estate della imperatrice Cixi a Pechino, la casa teatro della Città Proibita, la casa di Giulio Romano a Mantova, la casa studio di John Soane a Londra, il Vittoriale di D’Annunzio, la casa di Mario Praz a Roma, la Casa di Paolo Portoghesi a Calcata, la casa studio di Nasci Franzoia a Feltre saranno le tappe principali, ma non le uniche, della conversazione. Contra’ Da Porti 11 Vicenza. This publication defines the culmination of a doctoral thesis, focusing on the urban history and development of the city of Asmara (Eritrea). 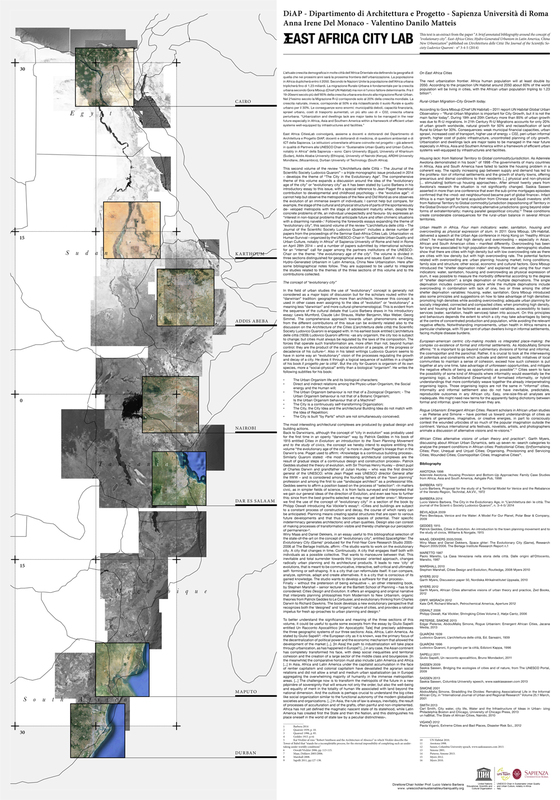 The thesis had been written with the aim of tracing the history of the urban evolution of the city of Asmara in order to identify its morphology which had beengenerated by both planned and unplanned urban spatial development. 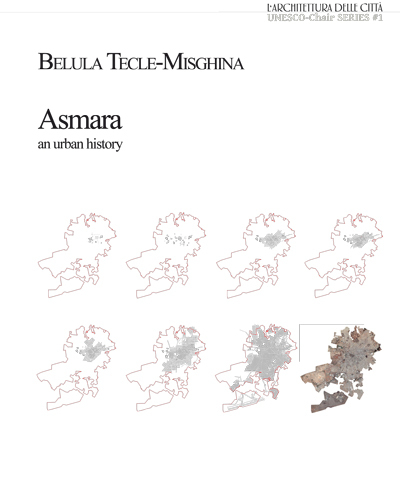 The first part of the book discusses the urban development knowledge of Asmara before 1941, in a historical and logical discourse, within an analytical framework comprising the following components: population, geography and history of the place. 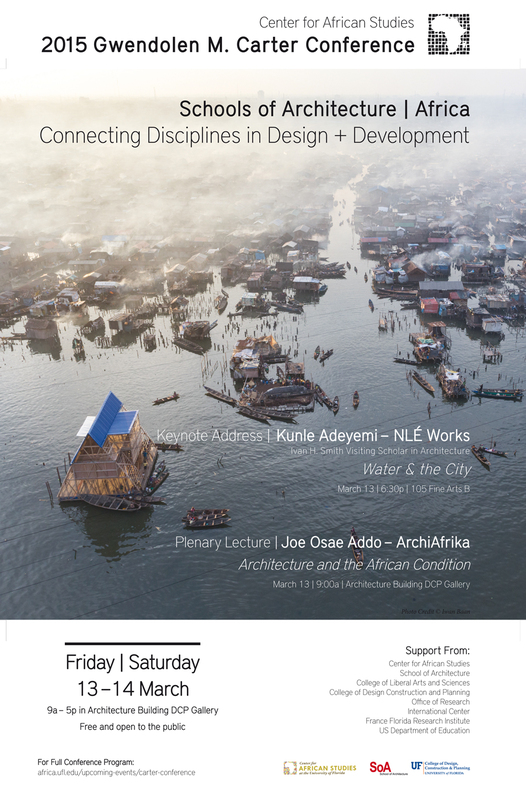 However, the main focus of this study is the second part which connects the colonial development of the city with the contemporary form, from 1941 to 2005. Asmara was generatedat the beginning of 1500 A.D.,emerging from the union of four villages that was collectively known as Arbatè Asmera and the city started to develop as an urbanized settlement since the end of the nineteenth century A.D.From about the year 1893 the bulk of the city developed along the infrastructure and urban planning principles of the Italian colony administration. During the said administration urban planning in Asmara had been closely related to that of Italian cities and to those urban features and principles of Western urban planning. At the end of Italian colonialism in April ‘41 Eritrea fell under British administration which reigned until 1952, during which time there were no processes of any urban planning despite the city continuing to grow organically. This situation persisted even during the years of Federation (1952-1962) and annexation (1962-91) in Ethiopia. In order to understand the development of an organic urban plan of the city during the recent past decades, reference must be made to the beginning of the 70s during which time a new Master Plan for Asmara was conceptualised and developed by the Siena-based architect, Arturo Mezzèdimi. The Town Plan of the Mezzèdimi Firm therefore represented the last comprehensive plan for the city of Asmara. The thesis concludes by establishing the origins and precursors to the contemporary city of Asmara. It was found that urban development planning was stagnant during the subsequent three decades following the 70s and any new planning would only start to materialise in the year2005, primarily through the initiatives of the Government of Eritrea and international consulting firms. This realised the development of “The Strategic Urban Development Plan, and the Identification of Priority Projects”documentwhich was accompanied by a Strategic Plan and an outline of Urban Planning Regulations. These documents were sourced and their respective contents synthesised in order toinform a true general plan of the entire Greater Asmara Area thereby representing the new beginning of the city. The historic links in the evolution and development of the city of Asmara, in Eritrea, is thereby established. Like any city, Asmara, a young city even by the standards of young African capitals, is a stage set where the drama of history has unfolded in the most intense and eloquent manner. The territory of Asmara stands at the edge of a space of almost mythical civilisations, ancient religions and proud empires. It is also a natural acropolis in the vastness of Africa, an astoundingly high crest that looks down from above on the coast of the “Eritrean” sea, coming to a halt where the Afar Rift expands and, year after year, rips into the heart of Africa where lions and gnus still roam free. However, in its body, and thus in its history, Asmara is also a fragment of Europe, imported atop the undulating highlands of Hamasien by the presumption of the most fragile and thus most presumptuous of colonial nations: Italy. Less than 130 years later history appears to have intentionally concentrated a host of events, projects, interests, delusions, conflicts and hopes in Asmara that, within the vaster expanses of historical time could have filled dozens of centuries. These metamorphoses were similar to immense waves lapping at a resistant soil, introducing and withdrawing diverse foreign armies, peoples, languages and cultures; and adversities. The results of so much labour have forged the identity of Eritrea, jealously defended for decades, and jealously guarded to this day. Looking carefully in libraries, among printed works dedicated to particular aspects of this identity – numerous and some very important – it is impossible to find a history of Eritrea that is scientifically complete and up to date. This is a serious shortcoming. Yet everything has remained impressed upon the land and, even more eloquently, on the city, on the face and limbs of Asmara. Hence the reconstruction, like that made by the author of this book, of the difficult process of planning the city signifies not only restoring, similar to an animation, the history of the complex growth of an urban organism. At the end of the Thirties, from Naples to Massawa (the ‘Port of Empire’, since 1890 an important commercial base and natural access point for anyone wishing to reach Asmara and the Eritrean uplands), the voyage took five days; from the port one could reach the capital of the Colony by train, on an intrepid mountain railway, or by a motor road, Road n° 1 from Dogali – Asmara was only 120 km away. If one wanted to make the journey by air, it took three and a half days, thanks to the ‘Empire Line’, which involved taking a seaplane from the Carlo Del Prete base in Ostia to Benghazi in Libya, and then a plane to the Umberto Maddalena Airport in Asmara, with stops at Cairo, Wadi Haifa, Khartoum and Càssala, on the Sudanese border. And right next door to the Airport stood the Teleferica Massawa-Asmara, an extraordinary cableway for transporting goods up on to the plateau, at a height difference of 2,326 metres; the cableway had been built in two years, between 1935 and 1937, and at a length of 75 km, was the longest industrial cableway system in the world. It could move in one day the equivalent of thirty train loads, but it was at its full operational capacity for only a few years: in 1941 it was damaged in the war with the British, and ten years later, when Eritrea became a British Protectorate, it was unexpectedly decided to dismantle it. capital of the new country. These events act as a backdrop and form a solid framework for Tecle Misghina’s research – which is not only meticulous but emotionally involved – of which this book is a well-documented summary. Her research is important in that it reconfigures and puts in order various documents, both known and unpublished, in order to build up a chronology and an armoury of references that are indispensable for anyone wishing to carry out further studies on the Eritrean capital. For a project developed within a Doctoral programme, this is, in my opinion, the most important outcome of her research. 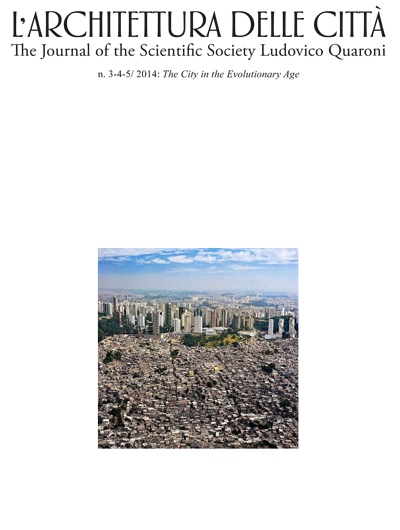 Introduction – A brief annotated bibliography around the concept of “evolutionary city”. A Rural-Urban Metamorphosis in China: The Real Great Leap Forward? “L’architettura delle città. The Journal of the Scientific Society Ludovico Quaroni”, Monograph Series#1, Edizioni Nuova Cultura, Roma 2013. This entry was posted in Beijing Lab Chapter.